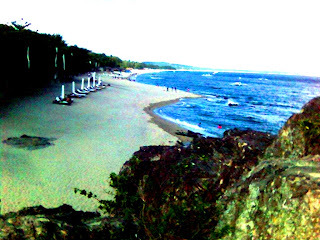 These are the pictures from our little hike down the beach resorts in Laiya, Batangas. This place is about 2-3 hours away from Alabang via private vehicle. 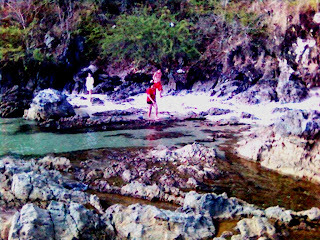 We pitched our tents at Pepesico beach which served as our base camp for our climb to Mt. Daguldol the following morning. 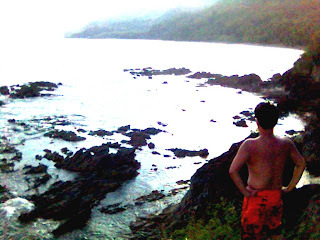 From Pepesico beach, we walked for about ten minutes towards the cluster of other beaches to check out the view. 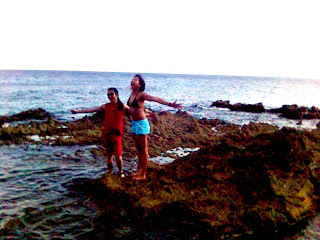 We were able to walk to La Luz, Balai and Palm Beach resorts. These beaches based from what I heard are the new "in" places to go for summer . Well..the place sure is nice.